I’ve noticed, via diligent research, that this isn’t an isolated incident. 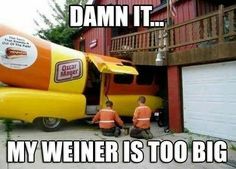 Pleasantly, the wienermobile is eminently meme-worthy…. This entry was posted in meme, My Poetry, Photo I Like, Uncategorized and tagged crash, harrisburg, ice, meyer, oscar, pennsylvania, snow, weiner, weinermobile. Bookmark the permalink. 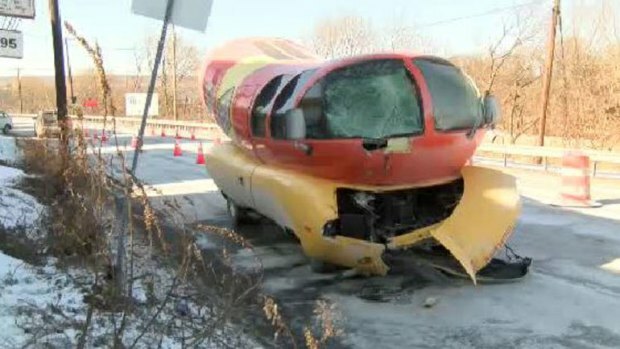 These photos show why we need to keep the hotdoggers off our roads! Well on the plus side we get to see more of your poetry! Would you believe I just made that up on the spot? My genius knows no bounds. 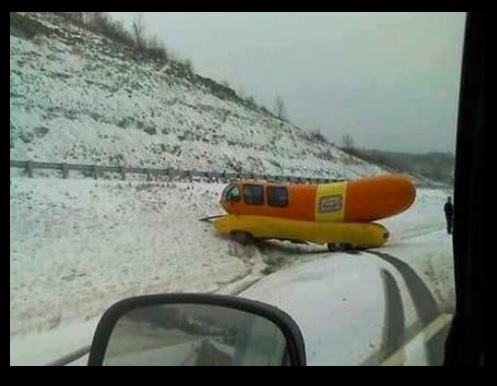 Oh, so sorry to see the Oscar Mayer weiner vehicle got into a wreck! Shoot!